My spice cabinet is one of my favorite parts of my kitchen. Not because it’s fancy (it’s … just a cabinet), but because it’s so full of possibilities. A quick twirl of the lazy susan in there can show me just the right spice to take any dish up a notch with just a few shakes. Even though I have a few go-tos that I toss in many dishes — red pepper flakes, a special Tuscan blend, cinnamon — I’m always open to trying something new and interesting. And the Hawaij blends that Pereg recently sent my way are definitely new and interesting. Hawaij — pronounced ha-WHY-idge and alternately spelled hawaj, hawayji, or hawayej — is an ancient spice mixture that’s a staple of Yemini and Israeli kitchens. 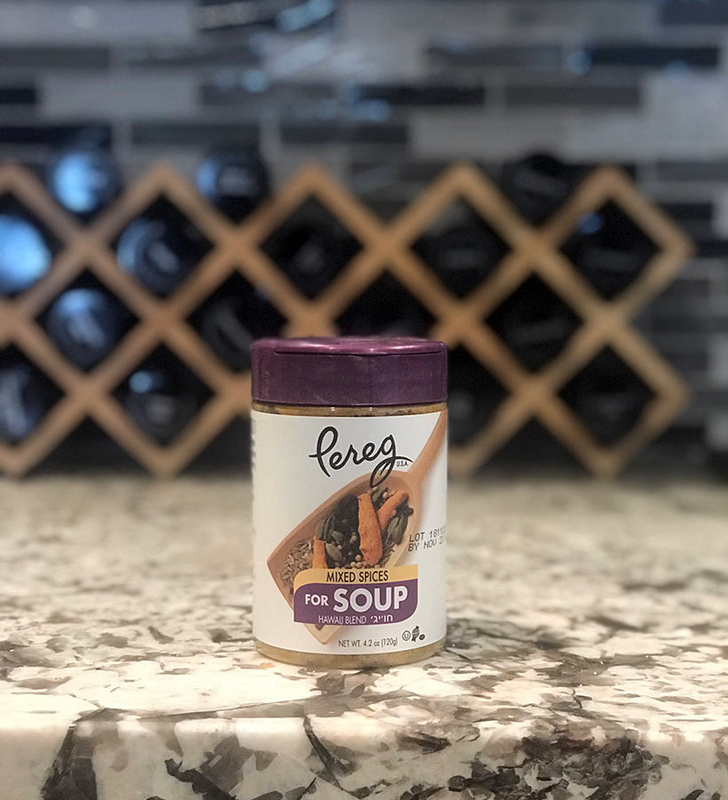 Pereg offers it in two distinct varieties, one of which is traditionally used in coffees and made with ginger, cinnamon, cloves, and cardamom; the other is a more savory blend used in soups, made of cumin, turmeric, coriander, black pepper, cardamom and cloves. You can also find versions from other brands with tangerine zest, fennel, or anise. But don’t be fooled by this coffee and soup talk — this spice mixture has proven to be incredibly versatile. 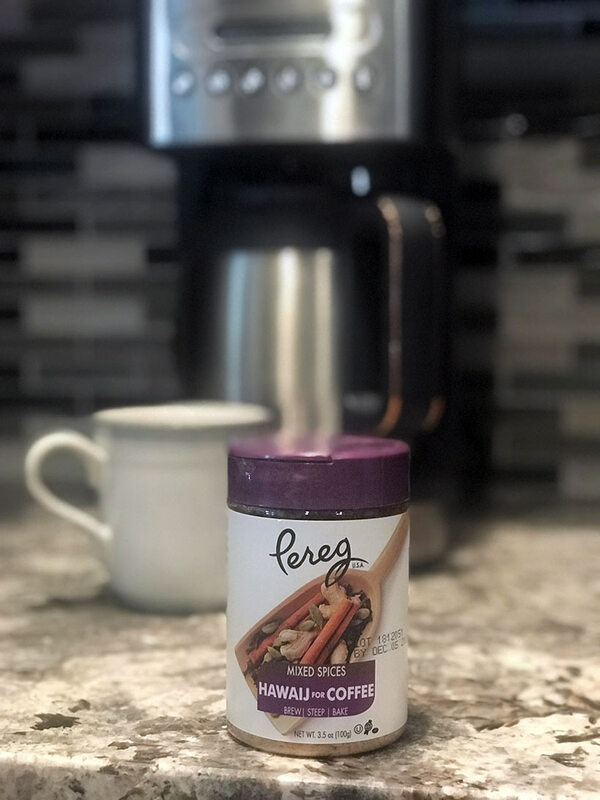 In addition to using the Hawaij for coffee in my morning joe and the occasional tea, I’ve also added it into pancakes (really good, although, be warned — they darken quite quickly), oatmeal, and I’ve got plans to use it in golden lattes, hot chocolate, pumpkin bread, cookies. Plus, I’ve read that people love adding it into meatballs. See? Versatile. The Hawaij for soup has earned a permanent place in my regular rotation, because while it has proven to be delicious in a variety of soups and stews, I’ve also used it on toasted chickpeas, roasted vegetables, mixed with plain Greek yogurt as a savory dip, and a friend who visited recently sprinkled it on almost everything she ate — chicken, rice, salad, potatoes, you name it. It can be used for a rub, too, so I’m sure we’ll be putting that to the test this spring when we fire up the grill!